Open the Backup Infrastructure view. In the inventory pane, select the Managed Servers node and click Add Server on the ribbon or right-click the Managed Servers node and select Add Server. 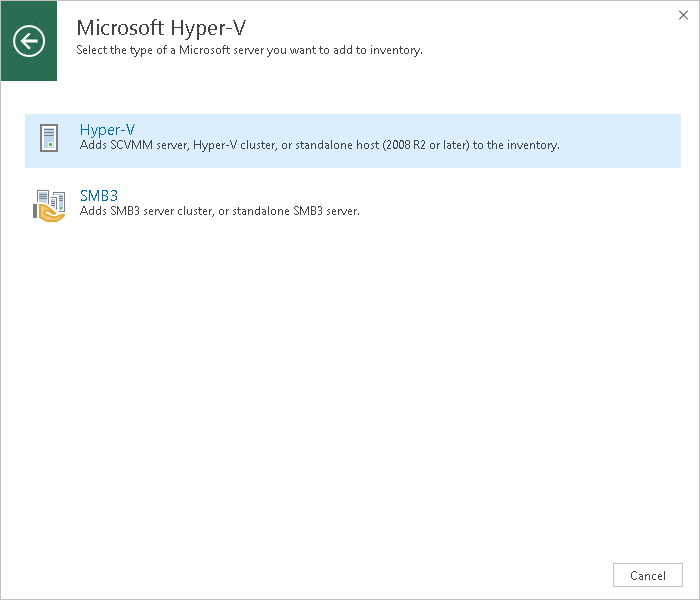 In the Add Server window, click Microsoft Hyper-V > Hyper-V.
Open the Inventory or Files view. In the inventory pane select the Microsoft Hyper-V node and click Add Server on the ribbon. You can also right-click the Microsoft Hyper-V node and select Add Server.